Instructions and information to the right of revocation for consumers as defined in § 13 BGB (German Civil Code). Within 30 days you have the right to revoke this contract without giving any reasons. The revocation period of 30 days starts at the date on which you or a third party designated by you, who is not the carrier, has taken possession of the goods. In order to exercise your right of revocation, you must notify us (Badeloft GmbH, Köpenicker Str. 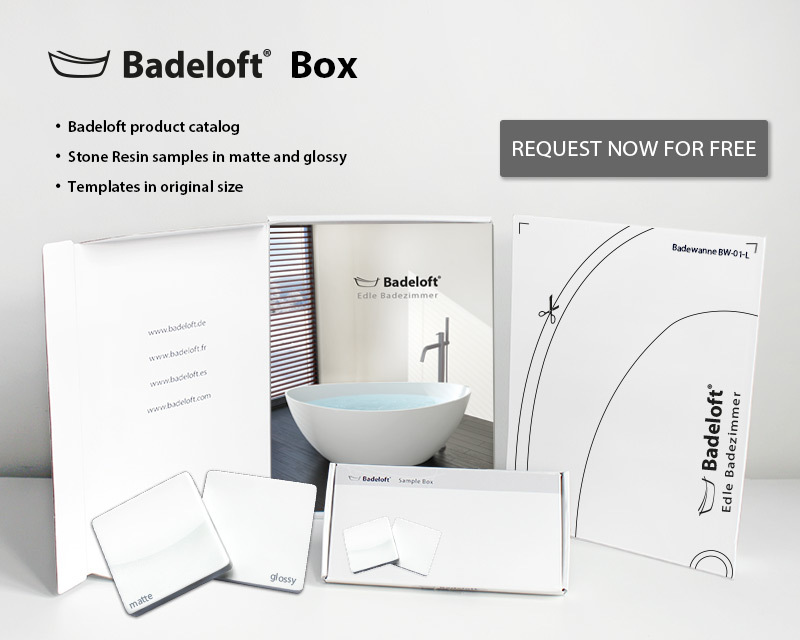 154, 10997 Berlin, Germany, Phone: +49 30 – 236 077 826, Fax: +49 30 – 236 077 810, info@badeloft.de) clearly stating (e. g. by letter sent by mail, fax or e-mail) your decision to revoke this contract. You may use the attached sample revocation form which, however, is not mandatory. To comply with the revocation period, it shall be deemed to be sufficient that you submit the notification to exercise the right of revocation prior to the expiration of the revocation period. If you revoke this contract we shall have to reimburse you all payments received from you, including the cost of delivery (with the exception of the additional costs resulting from your choice of a different type of delivery than the most favorable standard delivery offered by us); such reimbursement must be effected immediately and at the latest within 14 days from the date on which notification of your revocation of this contract is received by us. For this reimbursement, we will use the same payment method which you have used in the original transaction unless you have expressly agreed otherwise; in no case, will you be charged any fees on account of this reimbursement. We may refuse such reimbursement until reception of the goods returned or until you have submitted proof that you have returned the goods, whichever is the earlier point in time. You must return or hand over the goods to us immediately and in any case at the latest within 30 days from the date on which you inform us of the revocation of this contract. This term shall be deemed to have been complied with if you send off the goods before expiry of the 30-day period. You shall only be liable for any possible diminished value if this diminished value is due to any handling of the goods by yourself not necessary for examining the quality, properties and functionality of the goods. Contracts for the delivery of goods, which are not prefabricated, and whose manufacturing requires an individual selection or determination by the consumer, or which is clearly tailored to the individual needs of the consumer; contracts for the delivery of goods, which may perish quickly or whose expiration date has been exceeded; contracts for the delivery of sealed goods, which are not suitable for return due to health protection or hygiene reasons, if their seal has been removed after delivery; contracts for the delivery of goods if these are inseparably mixed with other goods due to their nature after delivery; contracts for the delivery of alcoholic beverages, whose price has been agreed at the time of concluding the contract, but which can be delivered no earlier than 30 days after concluding the contract and whose current value is dependent on fluctuations in the market which cannot be controlled by the trader; contracts for the delivery of audio or video recordings or computer software in sealed packages if the seal was removed after delivery; contracts for the delivery of newspapers, magazines and papers with the exception of subscription contracts.